You might remember the emjoi tweeze Bed Bath, and Beyond commercial that flashed on television frequently. The catchy “tweeze it,” as seen on TV slogan came on countless times per day. It makes you wonder if the Emjoi AP 9T Tweeze is everything that the commercial chalked the product up to be. After all, infomercial products are hit and miss. Emjoi makes several claims about their epilator. They tell users that we can use the Tweeze on areas with unwanted hair, like our upper lip, cheeks, underarms and bikini line. Their epilator is portable, safe and comfortable to use. Is their product everything they claimed? Let’s take a look. What Do You Get When You Purchase the Emjoi Tweeze? How Does the Emjoi Tweeze Work? How Do I Prepare My Face for Epilating? Can Men Use the Emjoi Tweeze? How Long Does the Hair Stay Away? The Emjoi Tweeze is a compact epilator created with the intention to remove the shortest and finest hairs with ease, as short as 0.3mm! Their eRase technology is meant to remove hair from the root quickly with their patented, three-disc system. eRase technology allows you to either glide the epilator back and forth or move it circular motions. It is your choice. Unlike other epilators, there is less discomfort during the process because the three-disc system helps to stretch the skin for comfort. The hair stays away for close to six weeks! The user doesn’t need to worry that hairs will be missed while using this epilator. Six tweezers are working to remove all the hair in the area with accuracy. The Emjoi Tweeze is meant for those with the sensitive facial area or sensitive skin. Awesome feature users might love is a safety feature that stops the unit if it is pressed too firmly against the skin. Also, Emjoi created their epilator never to scratch, pull or irritate the user. Remember that these are battery-operated tweezers, taking two AAA batteries. However, despite Emjoi’s claims of being painless, we find that that is false. Using this epilator stings quite a bit, which is to be expected when purchasing a cheaper product. It does hurt more in sensitive areas; stay clear of the bikini line area! Also, we noticed that it doesn’t do the best at removing the hair from your body. Despite having several tweezers working at one time, we still wish that it removed more hair at one time. It isn’t a wide epilator, so you can’t remove too much at one time. You will have to work to remove unwanted, stray hairs, especially on curved areas of your face. The Emjoi works better on flat surfaces. This feature is great for women because it fits perfectly into a makeup bag or a purse. Also, the compact size fits comfortably in anyone’s hand and allows you to reach smaller areas of your face or body. This feature is great for those on the go because you don’t have to worry about finding somewhere with a plug. Batteries are a plus. This feature is great for those with short, stray hairs because it can catch fine hairs with pinpoint precision. This feature is great to avoid scratching because it stops the tweezers from catching on your skin accidentally or yanking out the hair painfully. This feature is great for those with sensitive skin. Their patented design allows for fast tweezing with six tweezers that remove hair with less discomfort. Cordless and runs on 2 AAA batteries. Simple on and off switch on the front. Plastic guard on the epilator. Cleaning brush lets you get off all the hair. Removes hairs as small as 0.3mm. Compact size for traveling or easy storage. Great for multitasking or those with vision problems. Feels like it is made of cheap plastic and might not last for long. Batteries only last one hour of use before dying. Gets slower as the batteries lose strength. Difficult to open the battery compartment. Shockingly loud at first, at a shocking 80 dB. Don’t use on eyebrows; you don’t want to lose an entire eyebrow accidentally. Upon arrival from your order online, a small package will arrive at your home. The packaging is difficult to open, like when your grandma tapes all the sides of your Christmas present box. Once you open it, you can take a look at your new epilator. Instructions: If you’ve never used an epilator before, the instructions teach you how to use this tweezer epilator. It contains basic information about the product. A Cleaning Brush: A cleaning brush is essential for any epilator because you want to remove unwanted hair from the tweezing part of the epilator. Emjoi products come with a cleaning brush which is essential. Otherwise, it might clog up and stop working. Use it after each time! A Protective Cap: On top of the epilator, there is a simple, plastic protective cap that covers the product completely. The idea is great; you don’t want it to catch on anything if you store it in your purse or to get covered in makeup in your bag. However, the cap does feel flimsy. It could potentially break if you store it in a bag of heavier items. Batteries are NOT included with this model. If you plan to use the product immediately, you will want to purchase two AAA batteries ahead of time. If you are like many people, you’ve always relied on a razor to remove unwanted hair. The Emjoi Tweeze works like an epilator that pulls hair out at the root. You run or glide the automatic tweezer over the area to remove hair. It is a great facial hair remover and works much faster than a standard pair of tweezer because several tweezers are working at one time. You might want to jump right in and use your new epilator, but that would be an unwise idea. 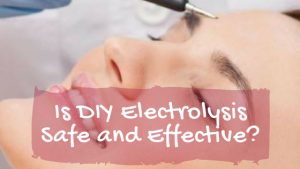 Preparing your skin, especially facial skin, for epilation is important. First, you should trim your hair to about 5mm. Long hair can clog up an epilator quickly. You might have to shave and wait a few days for the hair to start to grow before you use the Tweeze. Exfoliating your skin is a great idea as well. Doing so gets rid of any dead cells that might clog up the epilator. Make sure you don’t have any makeup, oil or creams on your face. No epilator works well when you are sweaty or have makeup on your face. It should be dry and natural. Some people like to take a shower or use a warm washcloth to relax your skin and hair. Warm skin is relaxed and lets the roots come out much easier. Moisturizing afterward is a great idea as well! The guard that comes with the Emjoi Tweeze epilator is great, but it can make things a bit more difficult at times. Some users have better results taking the plastic guard off, despite the risks that it might catch your skin. Whether or not the guard works for you will depend on your hair type and length. You don’t need to press down hard on your face or body to make the epilator work. These automatic tweezer work by just gently gliding over the skin’s surface. Pressing down doesn’t allow the epilator to stretch the skin. Just lightly brush it over the hairs. Pressing down makes it difficult for the tweezers to capture the hairs. Also, despite claims of painless hair removal, the Emjoi Tweeze can and does pinch the skin. Make sure that you always pull the skin tightly. You can do so by using your free hand to pull the area while gently using the epilator. Tight skin lifts the hair off the skin and reducing the pain, like on your upper lip. The company advertises that the product is for men and women, but users will tell you that it's not a good idea. Men will find the process even more painful and difficult because the design isn’t meant for the tough facial hair that men have. Supposedly, the Emjoi Tweeze will keep hair away from unwanted areas for six weeks. It might be true for some people, but it has nothing to do with your hair growth cycle. Epilating does keep hair away longer than just shaving, but epilation isn’t a permanent form of hair removal. Over time, the hair will grow back at a slow rate, but you don’t have to worry about the hair growing back thicker! The Emjoi AP doesn’t work as well as the company advertises, but the price makes it a choice for everyone. Those who have never tried an epilator could benefit from purchasing the Emjoi because it is cheaper. Keep in mind that pricier choices tend to pluck more hair than this Emjoi Tweeze automatic system. Epilation is a great choice for those with fine hair who don’t want to spend forever tweezing. You can still get ingrown hairs, and the hair will grow back. For those whose first goal is speediness in hair removal, the price makes giving an epilator a try a good idea.